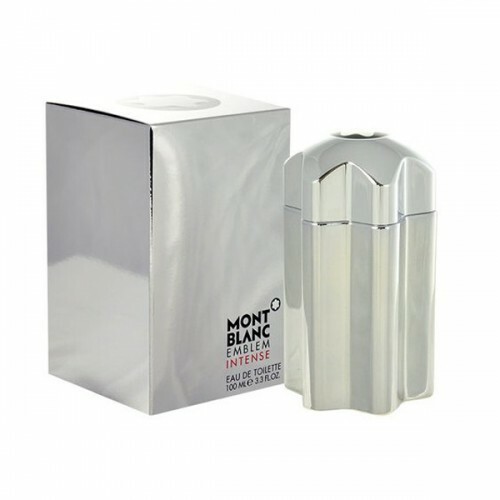 Montblanc Emblem Intense is very captivating men's fragrance that will surprise you. Montblanc Emblem Intense 100ml. EDT is the new men's fragrance, which is suitable as a dreamy romantics and pragmatists skeptical. Strength and stability of perfume can not be forgotten, and his penetration captivates from the first meeting! Ideal for lovers of intense smell! The aroma invigorates, perfectly in tune with the body odor. The form of the bottle was left as in Emblem, but changed color. Now the bottle painted steel, cold metallic. Perfume Mont Blanc Emblem Intense opens: Top notes: grapefruit, coriander seeds, cardamom and clary sage. Middle notes of violet leaf frozen, sweet romarosa, warm cinnamon and spicy nutmeg. The base consists of the notes of wood and suede, tonka bean and patchouli. Another novelty of this spring for men from Mont Blanc. Emblem Intense different from the original Emblem more vivid, intense and sensual accords of warm spices. By the new bouquet composition added chords of coriander seeds in the beginning, in the heart - nutmeg and Pomarose (fruit has pink apple flavor) and ends all patchouli and suede. The shape of the vial Emblem Intense different from fellow Emblem only in color - white metallic. The bottle is created in the form of six-pointed star, which symbolizes the snowy alpine peaks circuits and that is the trademark of MontBlanc. If you are looking for a truly exceptional men's scent, then you have found! Unique aroma fragrance Mont Blanc Emblem Intense perfectly captures also a unique bottle, whose silver design is inspired by the shape of the star alone brand logo Mont Blanc. Become an exceptional man with luxury masculine fragrance Mont Blanc Emblem Intense!